I love the charm and warmth a fireplace adds to a home. It makes an entire room seem more intimate and cozy. Before deciding on our home, we looked at dozens of houses with both functional and non-working fireplaces. For me, it wasn’t a deal breaker if a fireplace didn’t function. 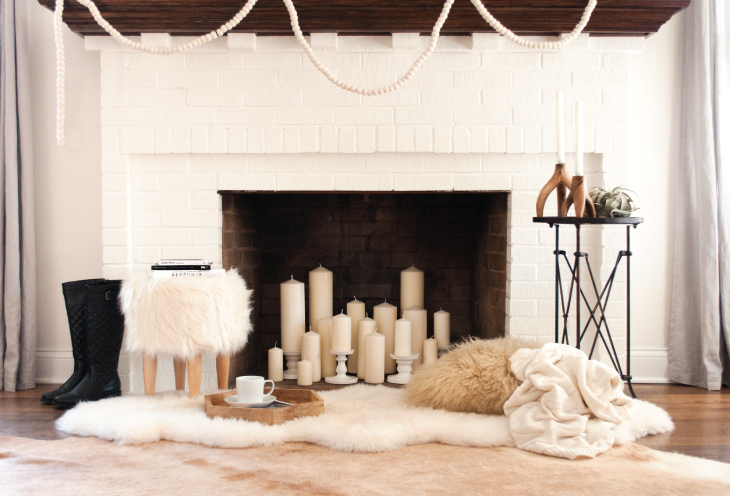 There are so many ways to style a fireplace without having wood burning capabilities. Although our fireplace does have a gas hookup- we have yet to invest in expensive gas logs. Yesterday, I awoke to find snow on the ground and with the holidays just around the corner, I decided it was time to make our fireplace feel seasonally appropriate. 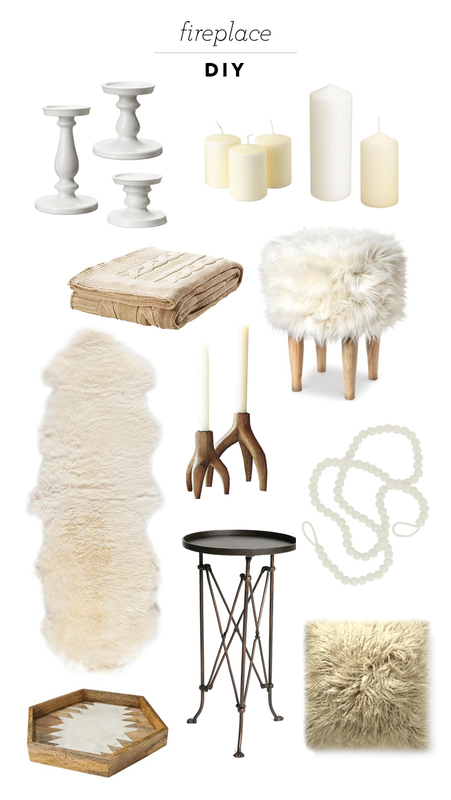 This holiday season I plan to decorate with neutrals. Luxurious textures help this space feel more inviting. I layered a sheepskin on top of a cowhide rug, anchored by a fur ottoman, industrial table, mongolian lamb pillow, and a cable knit throw. This is the first room you see when entering through our front door, so I wanted it to be a comfortable space where I can kick off my shoes after work, curl up with a book, and relax. oh super cute! 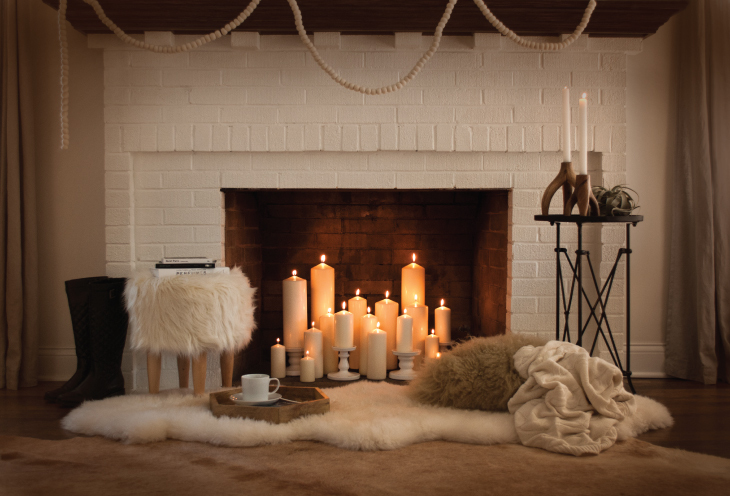 just lovely…if I had a non-working fireplace, I would do something like this. The candles really make it cozy with all that plush texture!